***NEW ARRIVAL*** MB E350 4MATIC Sedan... Auto, Premium Pkg, 8'' AMG Wheels, Affordable LUXURY!! Affordable LUXURY!! 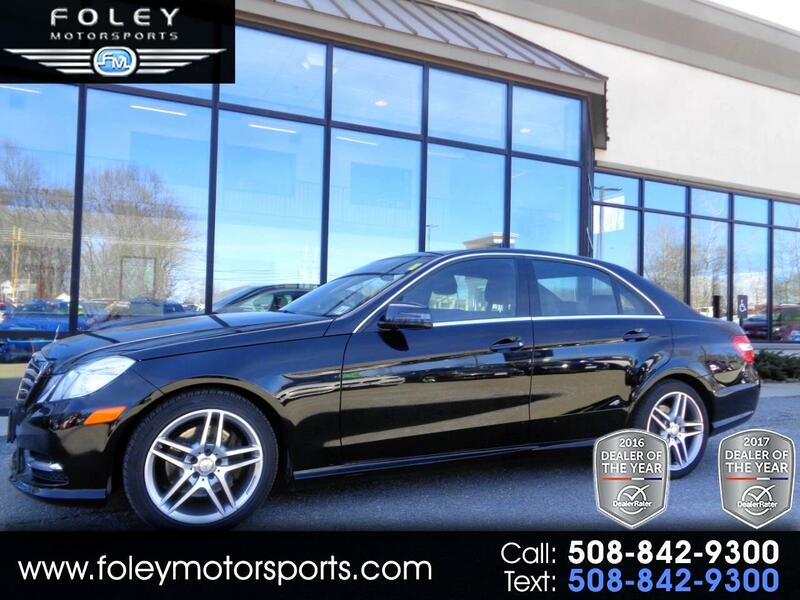 2013 Mercedes-Benz E350 4MATIC Sedan... Black on Black Leather... 302hp 3.5L V6 Engine... ALL Wheel Drive... AUTOMATIC Transmission... WELL Equipped... Sport Package with 18'' AMG Wheels... Heated Seats... Power Sunroof... Premium Package with Navigation System, Rearview Camera, Heated Seats, Power Rear Window Shade, Satellite Radio, 14-speaker Harman Kardon Surround-sound Audio System and an iPod Interface... Standard safety features for the 2013 Mercedes-Benz E-Class include antilock disc brakes, stability and traction control, front side airbags, front pelvic airbags, side curtain airbags and a driver knee airbag. Also standard is the updated Mercedes-Benz mbrace emergency telematics service, a drowsy driver alert and pre-collision automatic braking. Please feel free to contact our experienced sales team with ANY questions or to schedule a test drive. Buy with confidence from the area LEADER in Pre-Owned LUXURY. Additional 5 Year/100K Extended Warranty Coverage Available. ALL of our vehicles are meticulously detailed and serviced by our factory trained certified technicians. Call or email us at sales@rjfoley.com **$0 Down** 100% financing available with great rates! Trades are always welcome. National and International shipping quotes are available.